Dando are continuously looking at ways of improving their existing machines and bringing new, innovative products to market. Please see below Dando’s latest rig innovations as well as bespoke drilling rigs it has produced for customers in the past. 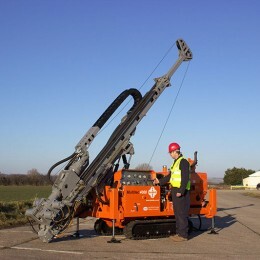 Occupying a small footprint, this compact yet powerful multipurpose drilling rig allows the user to carry out a wide range of drilling techniques to medium depths in areas of difficult terrain and limited space. 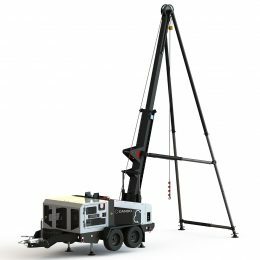 Available in both trailer and track mounted versions, the new cutting edge Dando Duke cable percussion rig boasts a range of innovative features for increased efficiency and productivity. 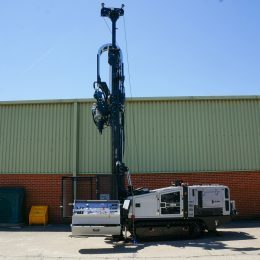 Dando’s latest Multitec 4000 multipurpose drilling rig is now available with the new Dando 3D geotechnical sampling and testing system. 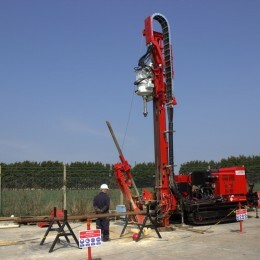 Using the sonic drilling technique, the SDC375 is a compact, robust drilling rig capable of rapidly collecting samples of up to 8 inches in diameter.